Walter was born in January 1882 in Southampton to parents George John and Agnes Fanny, nee Boyland. George was born in 1849 in Southampton and died in April 1923. Agnes was born in 1850. They were married in Southampton in 1871 and in this year were living at 139 Wilton Road, Southampton. In the census of 1881 the family were living at 57 Bellevue Road, Southampton. His father was employed as a Rope and Sail Maker. Walter got his Masters and Mates certificate on 22nd December 1903. He is registered, from 1906, having received his Master Mariner Certificate and is noted on the Navy Lists from 1907 serving as a Sub Lieutenant. On 9th January 1909 he achieved his Certificate of Competency as Master for Foreign-going Steamships. Walter served on HMS Excellent, the Hyacinth and HMS Kent. 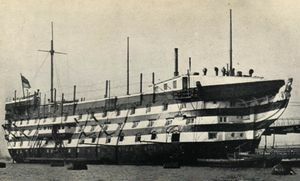 HMS Excellent was a gunnery training establishment in Portsmouth at Whale Island. Members of the Royal Naval Reserve went there for training. It is recorded on his death that Walter was serving on HMS Excellent. Where Walter served and the circumstances surrounding his death are not known. Walter’s death date is given as 20th October, although his death was registered in December 1918 in Southampton. Probate of £272 was given to his wife Gladys, but not until April 1919. The address given on the probate was St Andrews, 115 Wilton Road, Shirley, Southampton. He was awarded the Victory Medal and The British Medal.